Here at Sub it Club we have a special affinity for picture books. I write them. Dana writes and illustrates them. It should come as no surprise that we have a lot of picture book writers and illustrators in the group. So, as part of our 2 year celebration we’re excited to be holding KIDLIT WEEK! All week long we’ll be having guests who love picture books as much as we do, along with some great giveaways to help you on your road to publication. To kick things off we have the amazing Katy S. Duffield joining us! Katy LOVES picture books too—reading them and writing them. And she has a newfound reason (as if she needs another) to overstuff her picture book shelves—the arrival of her first grandbaby! 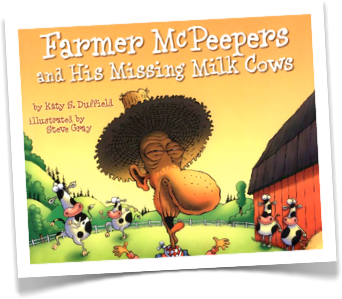 Katy is the author of nineteen children’s books including the picture book Farmer McPeepers and His Missing Milk Cows, illustrated by Steve Gray (Rising Moon Children’s Books). Katy’s picture book, Farmer McPeepers and his Missing Milk Cows was awarded the Arkansas Diamond Award and was a Wyoming Book Award nominee, and her article, “Winds of Hope” (Cricket, Sept 2012), was the recipient the International Reading Association’s 2013 Paul A. Witty Short Story Award and the 2013 SCBWI Magazine Merit Award. 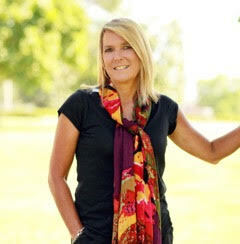 Katy writes both fiction and nonfiction for the trade and educational markets from her home in northeast Florida. She’ll be assisting Darcy Pattison and Leslie Helakoski at a Highlights Foundation picture book workshop, PB&J: Picture Books and All That Jazz, in late April. Katy has two forthcoming picture books! LOUD LULA is a southern-flavored tall tale about a little ol’ gal with a big ol’ voice. Lula’s loudness causes all kinds of uproar starting on the day she’s born. And when she starts school for the first time, things get even worse. But one day, when a raging wildfire threatens the town, Lula knows the perfect way to come to the rescue. LOUD LULA is being illustrated by Mike Boldt and will be published by Two Lions. Release date is set for October 25, 2015. ALIENS GET THE SNIFFLES, TOO, is forthcoming from Candlewick Press and will be illustrated by K.G. Campbell. In the story, Little Alien is sick. His family tries every remedy in the universe to make him feel better, to no avail. Only Mars Rover, his best alien dog friend, can put a smile back on Little Alien’s face. What picture book writer wouldn’t want to get a picture book critique from Katy? I know I would. Oh wait, I can’t enter. But you can! To enter to win a picture book critique from Katy S. Duffield, just tell us that you want to be entered in the comments on this post. Share the love and let others know about the contest via social media. Just let us know in your comment and we’ll add extra entries for you. Grab our badge. Put it on your site and link it back to http://www.SubItClub.wordpress.com and let us know. We’ll give extra entries for that too. And if you’re a member of our Sub It Club submission support group put that in your comment because that is definitely worthy of an extra entry! I’ll do a random number generation and pick a winner on Tuesday, February 24th. Entries are open until then. Good luck everyone! To learn more about Katy S. Duffield go check out her website, www.katyduffield.com and follow her on Twitter. Author Amy Dixon Talks Submission (And Sweater) Feedback – Plus A Picture Book Critique Giveaway! Happy anniversary to the Sub It Club–I’d love to celebrate with you with a critique! Thanks for the opportunity and the wonderful post. I’d love to be part of it. I will tweet about it and I am a member of the Facebook Community for Sub It Club. Great idea. I am writing about it and posting it in my blog today. I am a memeber of the FB group too and Sub It. Please include me. Count me in please! I am a huge space fan and can’t wait to see “Aliens Get the Sniffles too”! Thanks! would love to win, I follow subitclub everywhere! I would love to win the critique. I am a member of the FB support group, the critique group, and I just tweeted about it. Congratulations, Katy, on all your books! I’d love to win a critique. I’m a member of the Sub It Club. I’d love to win a critique! I’m a member of the Sub It Club. Thank you for adding me to your drawing! I am a member of the Sub It Club FB groups, Twitter, Pinterest, this blog feed, link Sub-It Club on my blog and share your posts. Thanks for the interview, Katy sounds amazing and I need to check out her books! Congrats, Katy! I would love to win a critique! I am a member of both Facebook groups and follow on twitter. I’d love to enter, please! Just requested membership in the Sub It Club and follow on Twitter and Facebook. Thanks so much for this awesome opportunity. Hi. Please enter me in this contest. I follow on Twitter and am in Sub It Club.